Perfectly crafted like an art piece, these Stainless Steel 317L Forged Fittings are very useful in variety of ways. Their smooth polishing gives them a shining look outside while inside polish ensures that the rust never catches the surface. We export these 317L Stainless Steel Forged Fittings to a large clientele based in the domestic and international markets. 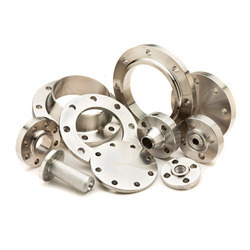 Swagat steel is one of the well known supplier of Stainless Steel Forged Fittings which is widely used across the various industries.Stainless steel forged fittings is one of our important product and same has the demand all over the world. SS 310 Forged Fittings, Size: 1/2"
Material Grade: astm a105,astm a182(f304,f304l,f316,f316l,f304h,f316h,f317l,f321,f11,f22,f91). Type: Elbow, Cross, Street Elbow, Tee, Coupling, Half Coupling, Cap, Plug, Bushing, Union, Outlet, etc. 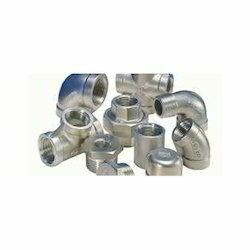 Size: UPTO 4", 3/4", 2", 1/2", 3", 1"
The best quality 310Stainless Steel Forged Fittings are traded by us.